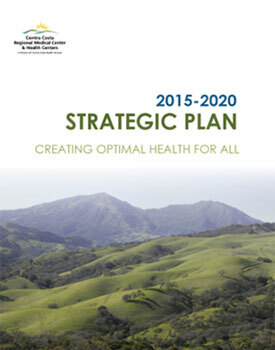 Contra Costa Regional Medical Center and Health Centers is now implementing its first-ever Strategic Plan. The five year plan serves as a roadmap for consistent decision-making at all levels, and puts CCRMC on the path to better serving the health needs of our community, especially the underserved. Having a strategy to guide CCRMC's diverse efforts is essential, not only to continue providing the best care, but to do so in a manner that is efficient, thoughtful and responsive to the rapidly changing health care landscape. 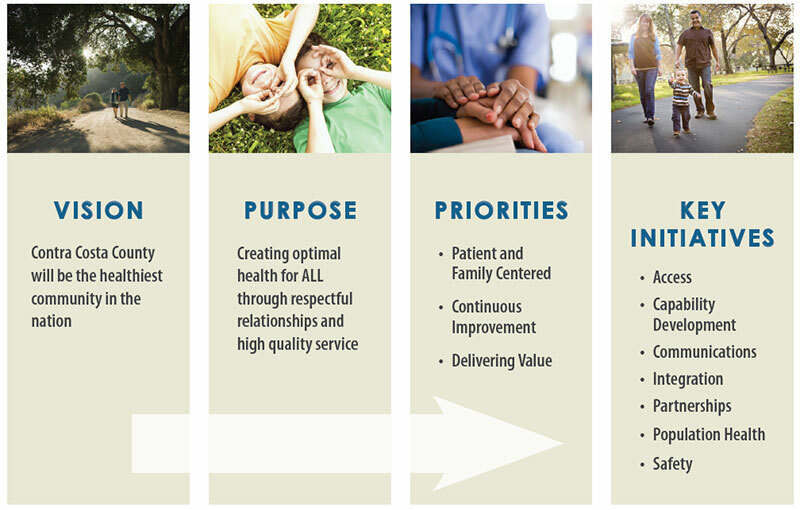 With clearly stated priorities and initiatives, the plan provides both the focus and the flexibility to make significant and impactful innovations, while constantly meeting the needs of our patients, their families and our community.